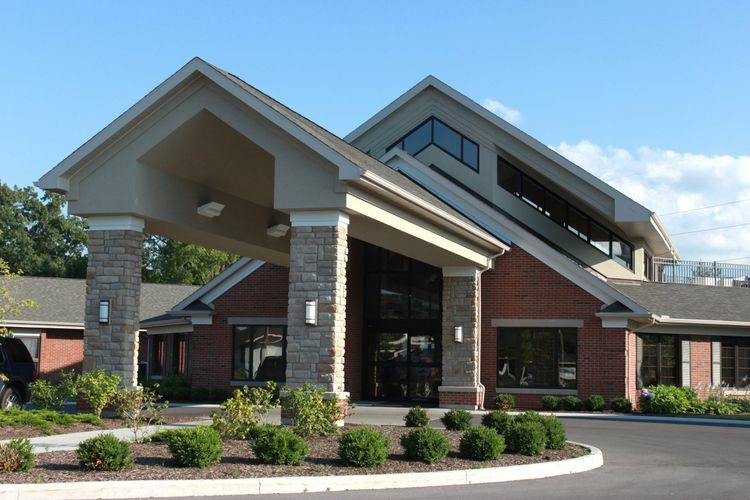 Old Roman style architecture and colors truly enhance the campus of the 36,400-square-foot, 1 story, Franciscan Care Center facility located in Toledo, Ohio. There is a unique pitch roof chapel built inside the building. Skylights, finished drywall and roof had to be 100% complete before the chapel could be started.